Journey along the rushing Halong River, ford the river on horseback, trek to the imposing Amnye Machen mountain, and travel up to the Tamchok Gongkar pass to witness a vast landscape of snow-covered mountains amid bubbling springs and grassland valleys. Meet local nomads along the way, enjoy views of the Rikar Thongshang Glacier, and visit an isolated monastery nestled within this breathtaking terrain. 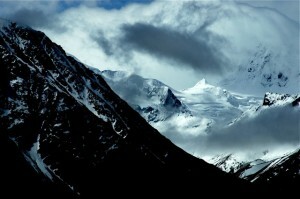 Thus is the natural beauty awaiting you at this sacred mountain range. 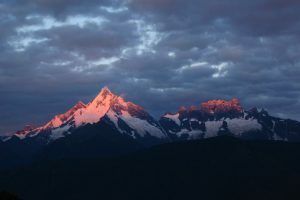 Amnye Machen is our favorite trip, because you see the best Tibet has to offer on this trek – the untouched natural beauty of nomadic grassland pastures, gushing rivers, snow-capped holy mountains, glaciers, ancient monasteries, and meditation caves. This is also our favorite trip because of the deep significance this site holds for Tibetans. 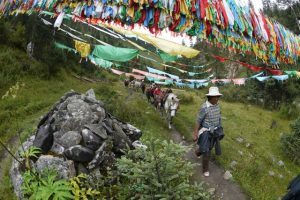 One of the 25 power places of Buddhism, Amnye Machen’s sacred power is revered by the thousands of local pilgrims who trek along the site’s rugged paths each year. Every valley, peak, and river in the Amnye Machen mountain range has an ancient story attached to it, since this is the site where the legendary King Gesar, cherished and revered by Tibetans, once lived. 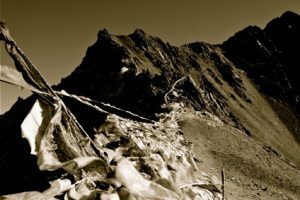 Trekking to Amnye Machen is an adventure tour – in a few days, you will travel up to an altitude of nearly 5000 meters, where you will see the magnificent valleys below from bird’s eye view. 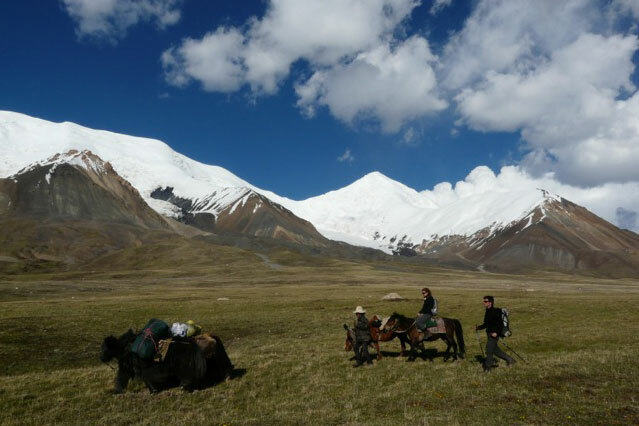 At other points in the trek you will descend into meadows flanked by bubbling streams, where you will have a chance to relax near the horses and grazing livestock of local Tibetan nomads.